Some of the most distinctive winter browsing damage is seen on Arborvitae. 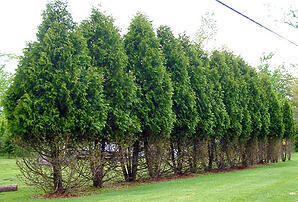 It is most distinctive because arborvitae are commonly planted as a barrier shrub. 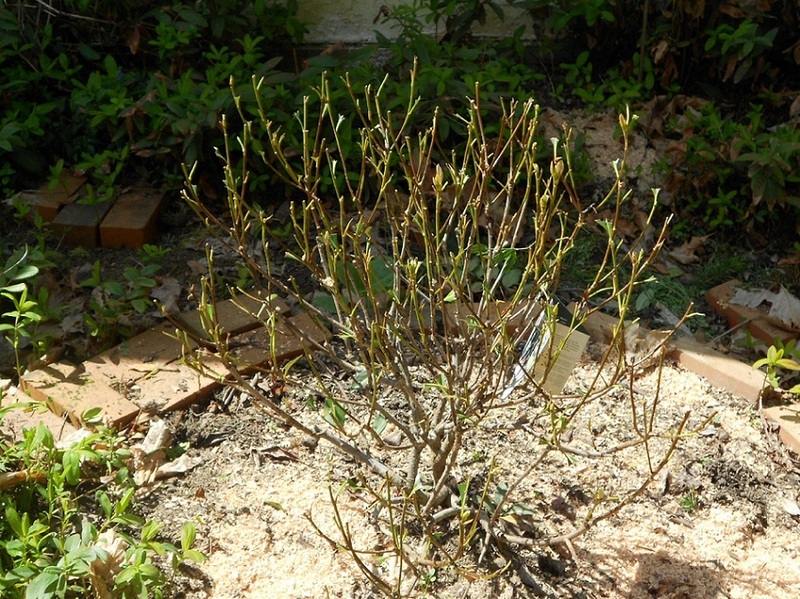 As seen in the accompanying image the damage only occurs up to a consistent height on each plant. The height of the damage is simply reflective of how high the deer are able to reach. One of the most commonly landscaped plats in New England, Rhododendron, especially young ones, are like candy to deer. Deer love many leafy plants and Rhododendron are one plant that does not shed it's leaves for the winter. Deer love young, often newly planted, Rhododendron the most because the leaves are more tender than the older hardy plants. Holly Bushes are distinctive for their sharp, spiny leaves. One would think that deer would be deterred from eating these prickly plants; however, the reality is quite the opposite. 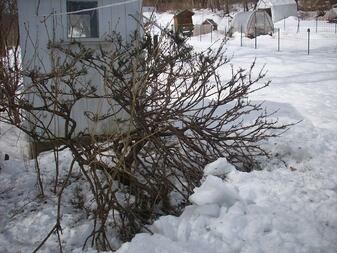 Similar to Rhododendron, Holly Bushes do not shed their leaves for the winter season making it a viable food source that usually remains above the snow pack. The Yew Shrub, a member of the conifer genus of plants, is yet another plant that deer commonly devour during the winter months. For a coniferous plant, it's needles are very tender and deer will often strip all of the needles off of the stems. Yew shrubs are at perfect feeding level for deer to browse. So, why is it most common for deer to seek out these plants in the Winter? During the spring, summer, and fall, deer have ample food resources throughout the native forests in New England. Deer love leafy green plants, berries, and some tree nuts in particular. As the seasons turn into fall and eventually winter most trees will shed their leaves and snow cover will limit many of the other food sources for deer. As food resources become scarce deer will turn to whatever is available; that often being the plantings on your property. HOW CAN YOU PREVENT DEER DAMAGE? The best way to limit and prevent deer damage is to make the plants that deer commonly browse unappealing as a food source. Organic products can be applied to and around the plants that work against the sensory receptors of the deer. Most commonly these products have a bitter taste, or pungent odor to the deer, but there are also products that can be used to invoke a fear that a predator is nearby and will cause the deer to avoid the area. The key is to keep the deer 'on their toes'. Deer can become accustomed to the use of the same products over a longer period and if they are really hungry will eat the plants either way. The best option is to use multiple products, rotated seasonally. If you are interested in learning more about an organic deer deterrent program to protect your landscaping investment click the green button below.